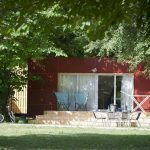 Weekend breaks and holidays on the banks of the Ardeche, with a swimming-pool! 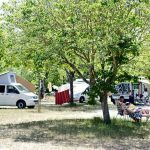 At the gateway to the Ardeche gorges, in the pretty village of Saint Martin d’Ardèche, enjoy a nature escape with a beach and direct access to the river at Huttopia Le Moulin – Ardèche campsite. 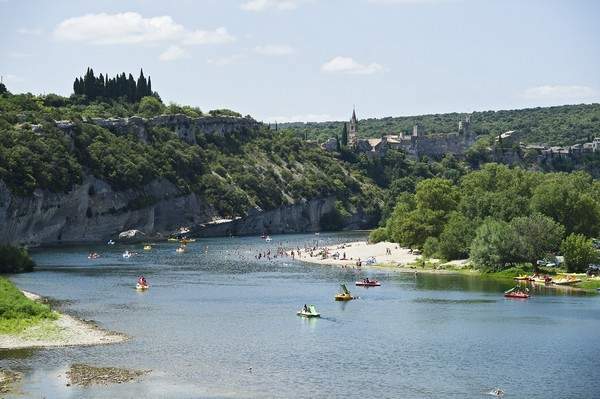 On the banks of the Ardèche, ideal for swimming and canoeing. 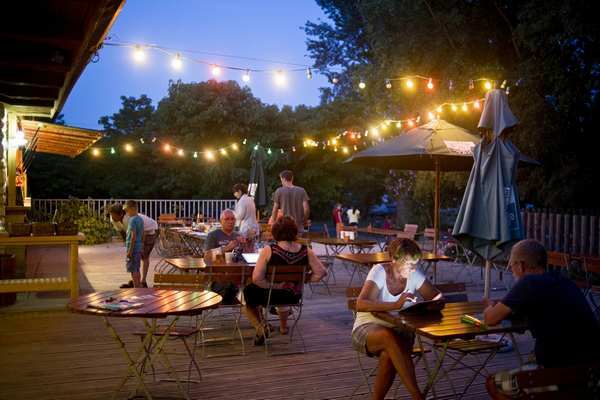 Two hours from Lyon, treat yourself to a holiday on the water’s edge. 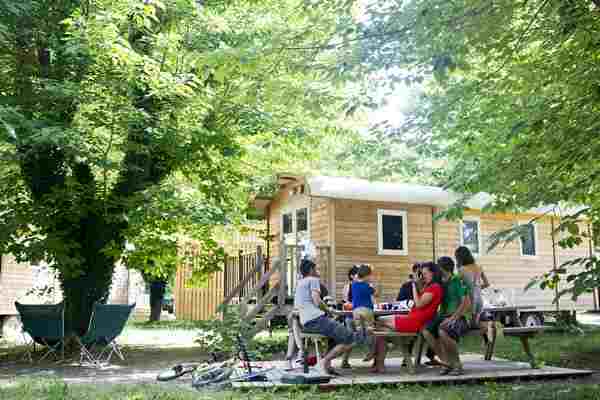 Discover the treasures of southern Ardèche, the Gard and the Vaucluse or canoe down the Ardèche before returning to the Huttopia Le Moulin – Ardèche campsite for a dip in the swimming pool or a local aperitif on the lovely wooden terrace. 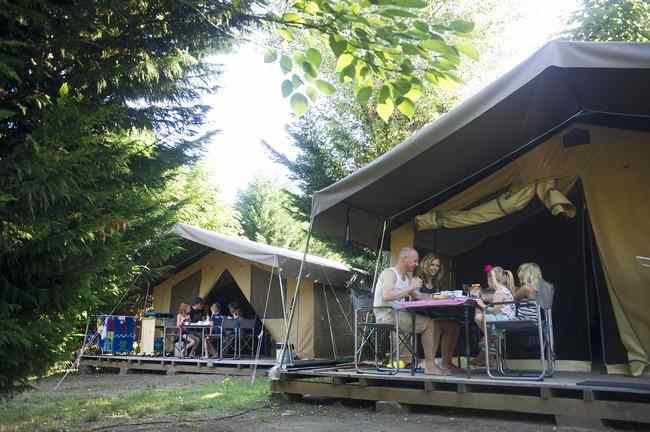 Camp with your own equipment on a beautiful pitch in the heart of nature or rent fully equipped accommodation. 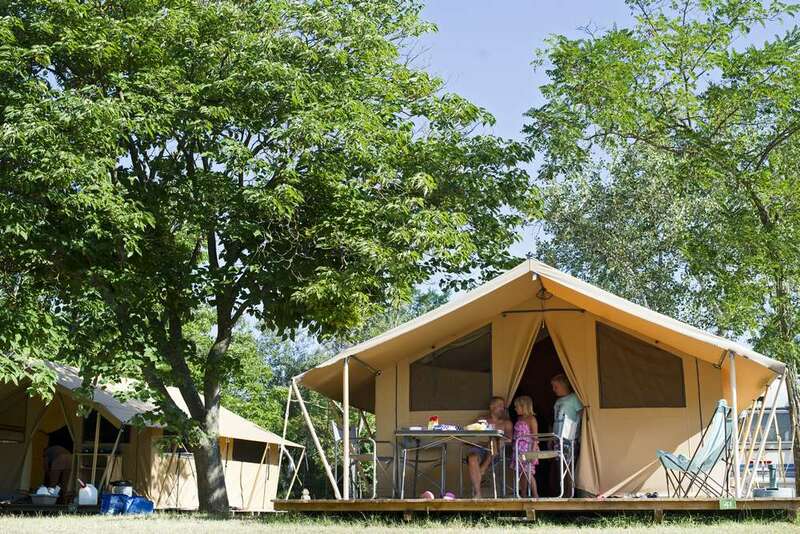 With wood trailers, wood & canvas tents, chalets, and mobile homes, there is comfort and choice for everyone! 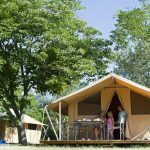 Fall asleep in a real bed lulled by the sound of the breeze on the canvas or admire the sunset from the terrace… Huttopia Le Moulin – Ardèche campsite offers a magical experience in the midst of the Ardèche countryside. Whether you are a seasoned camper or looking for creature comforts, everyone can enjoy the environment and level of comfort that suits them. New! 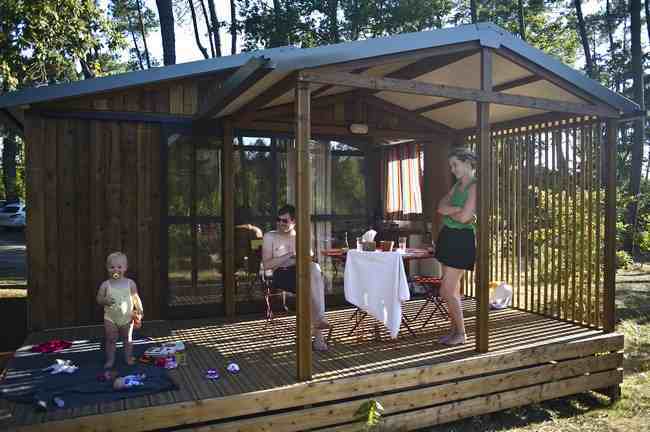 This summer, enjoy a holiday escape at Huttopia Le Moulin – Ardèche campsite in an Evasion Chalet. 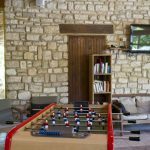 A beautiful wooden chalet, ideal for 5 people. 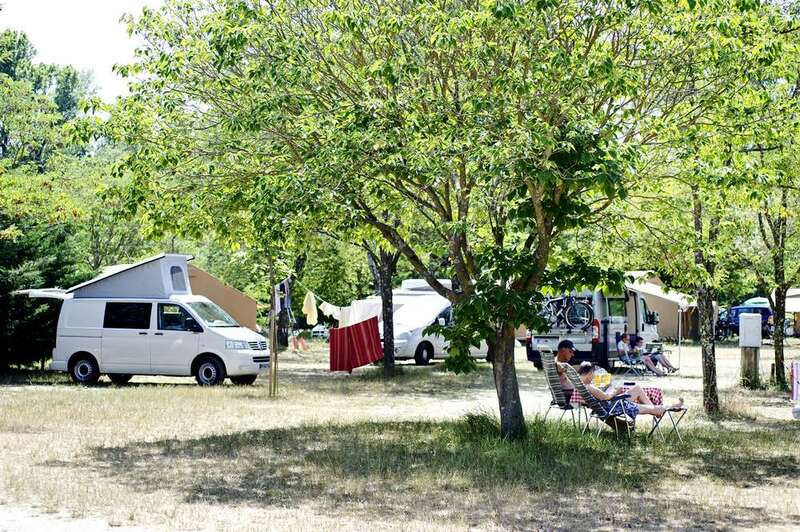 Tents, caravans and campers are nestled over a 7 hectare site, a stone’s throw away from the banks of the Ardèche, on spacious flat pitches, in the shade or in the sun, so you can laze about and relax at Huttopia Le Moulin – Ardèche campsite. 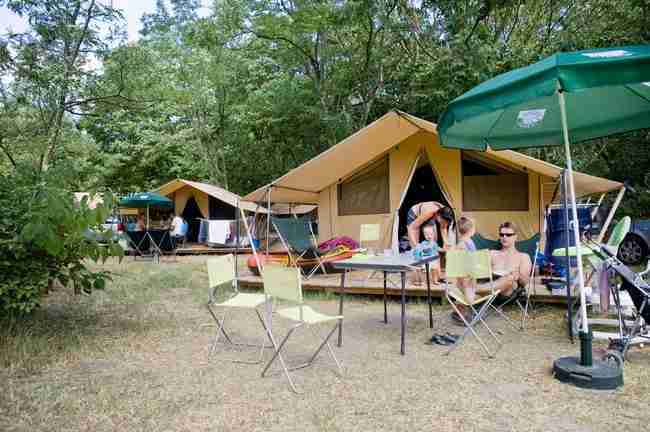 Here, campers can really find their place! Whether as a couple or a group, travelling light or well equipped… there is a corner of nature where you will feel right in your element. All our pitches have electricity. Sanitary side river completely renovated! There are three pleasant and bright washrooms that are cleaned and checked 3 times a day. > Family bathroom cubicles and baby changing areas. 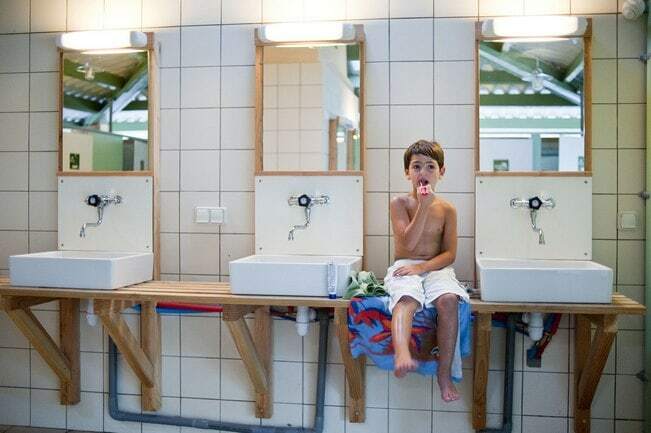 > Washrooms designed for people with reduced mobility. 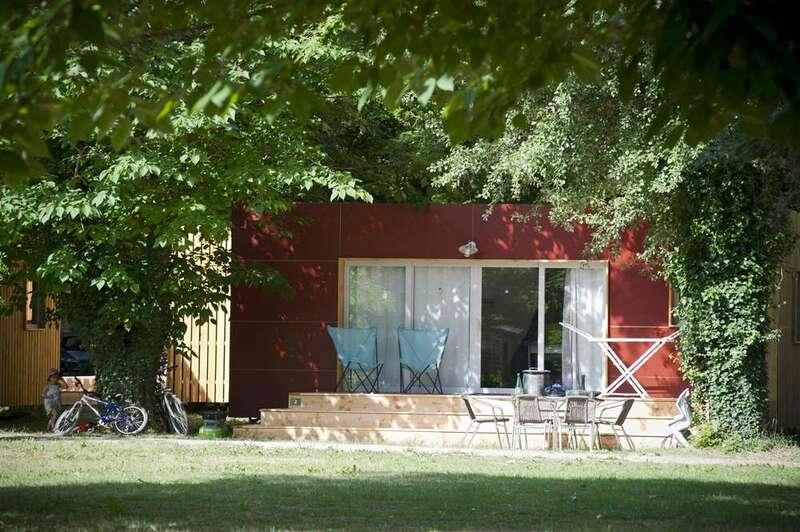 You will love having a coffee or breakfast on the wooden terrace of the central lodge before doing the famous descent of the Ardèche river by canoe. Huttopia Le Moulin – Ardèche campsite also offers a range of other services to make your stay even more enjoyable. The Pizza-Grill has a mouth-watering selection! Feel like grilling? 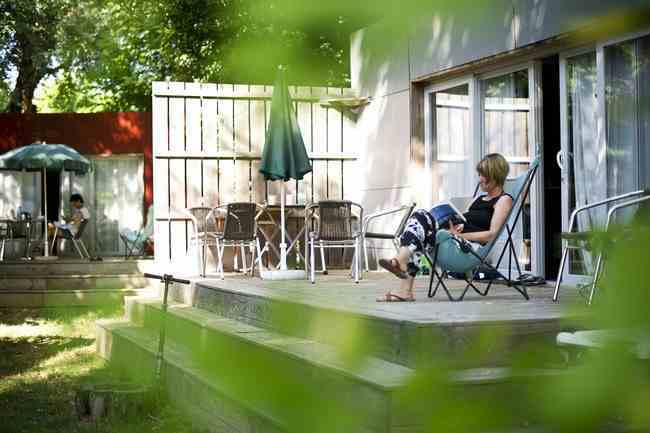 Hire a barbecue on site for an authentic holiday. 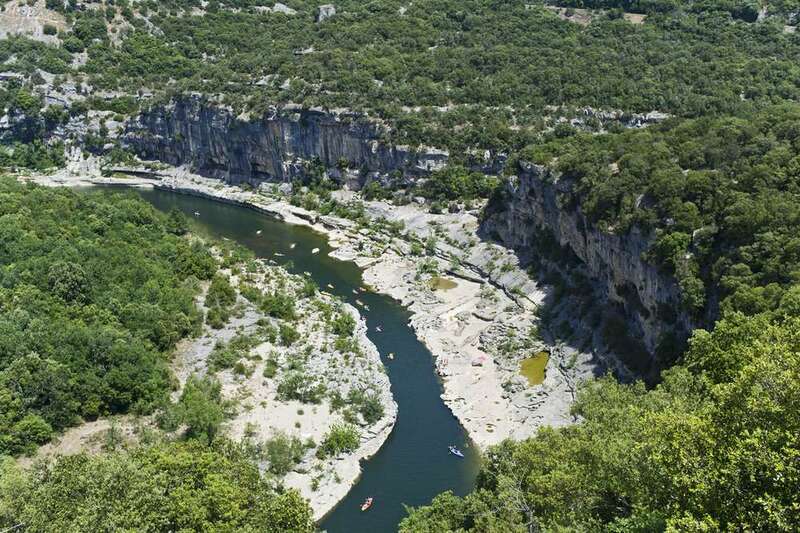 Where should I go to organize a canoe trip down the Ardèche? 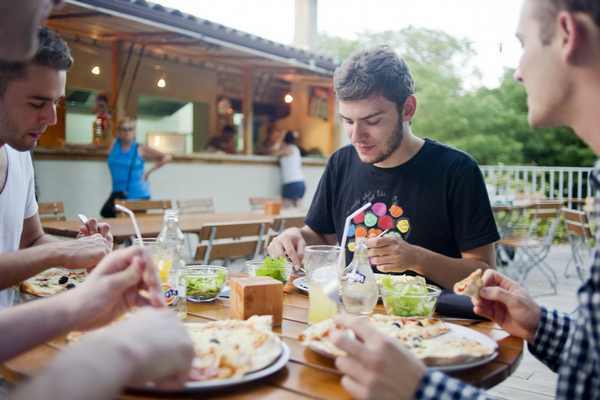 Do you know any nice little restaurants in Aiguèze? 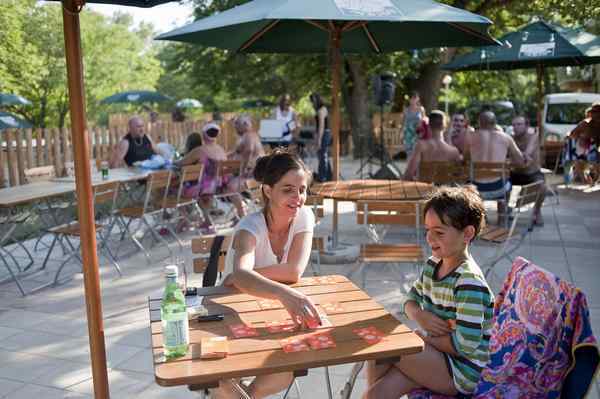 At reception, we will be happy to answer all your questions to make your life on and around the campsite even easier. 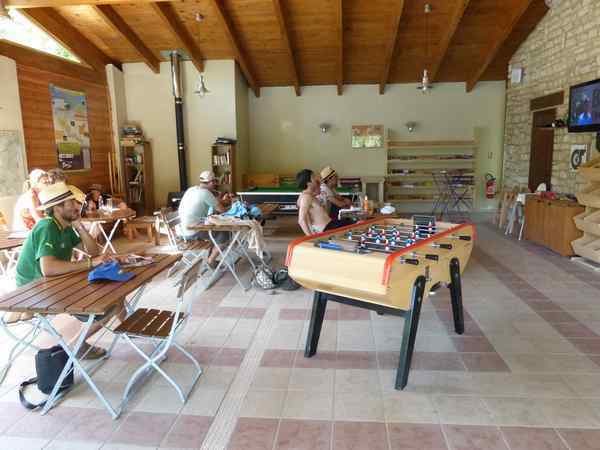 Supermarket, bank, tourist office, restaurants in Saint Martin d’Ardèche (300m from the campsite). 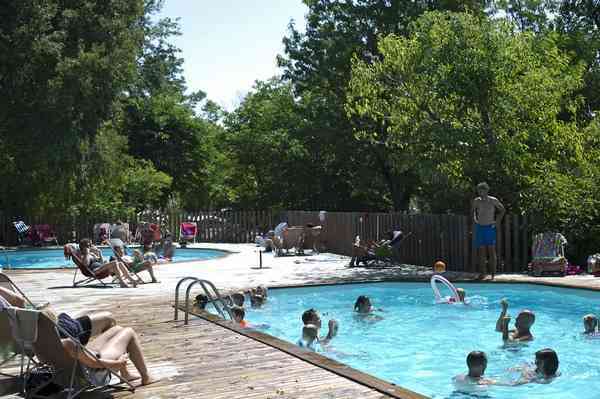 On site, there are two swimming pools, one of which is heated, and a paddling pool overlooking the campsite, for you to enjoy the Ardèche sunshine. 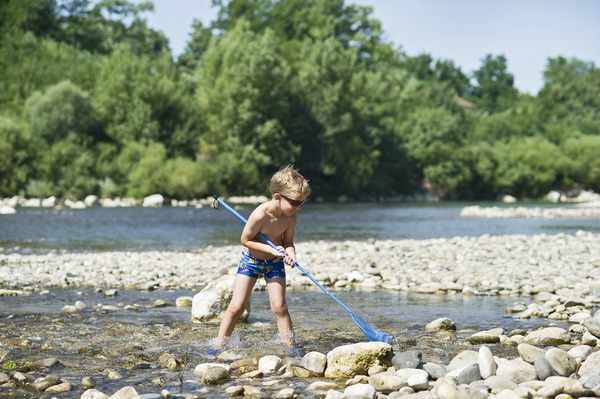 Or for an even wilder experience, enjoy direct access to the beach on the banks of the Ardèche to paddle in the cool water of the river. For an active holiday? Pedalos and canoes are available for hire just a stone’s throw from the campsite. 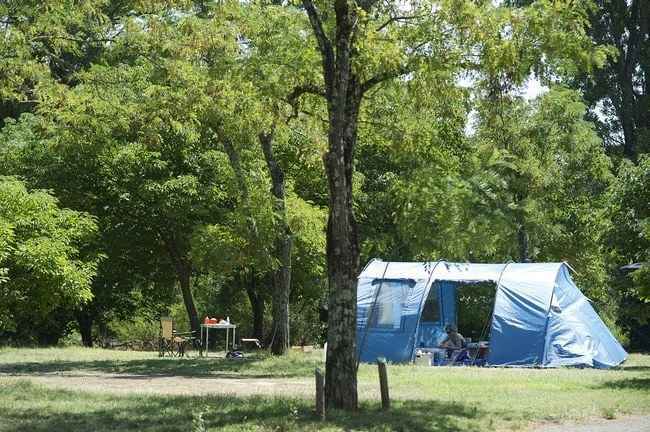 Huttopia Le Moulin – Ardèche Campsite is one of the arrival points when you go down the Ardèche Gorges by canoe or kayak. 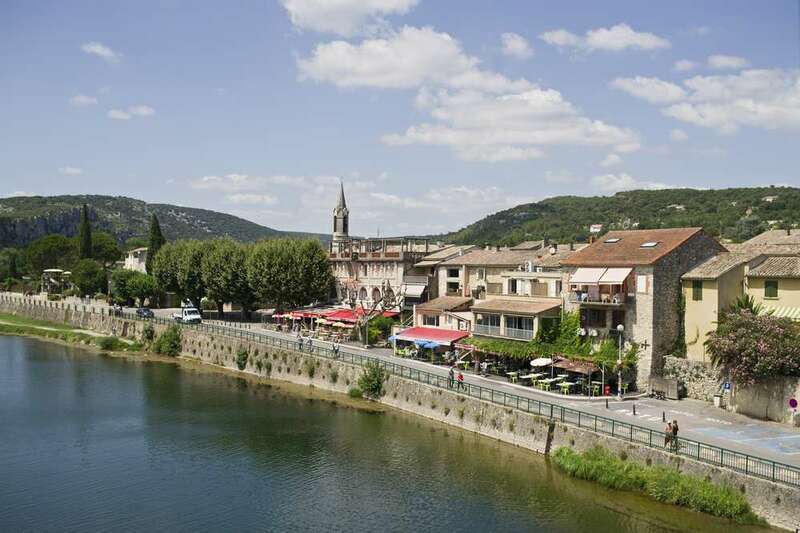 You can use local transport to go to Vallon Pont-d’Arc, and then come back to Saint-Martin on the river. 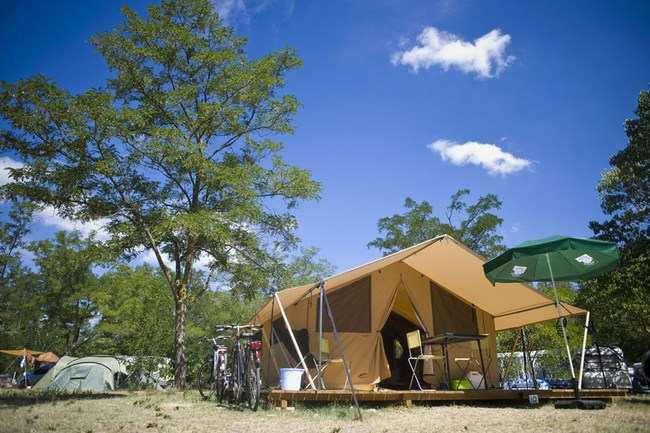 Huttopia Le Moulin – Ardèche campsite has selected the best partners in the region so you can enjoy activities for free or at the best prices. Find out more every week at the activity forum! Come along and enjoy a range of activities for all the family.  An introduction to fishing, a viticulture walk, a pottery workshop, a canoe trip, or a sports tournament… the choice is yours! Enjoy magical moments, with circus and magic shows, live music groups, and giant wooden games… adults and children alike are in for a treat. 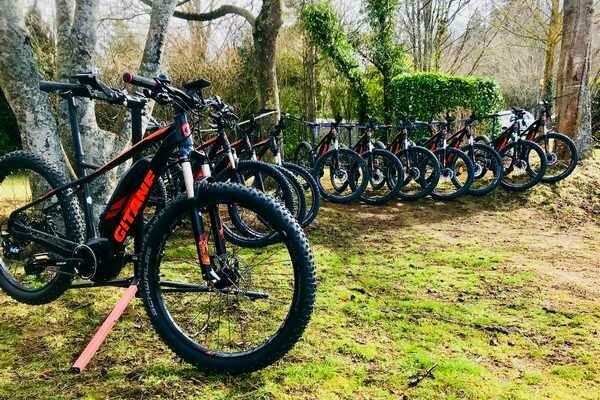 Explore the Ardèche Gorges in true freedom on an electric mountain bike. On mud, in sand, uphill… nothing will stop you! Available for hire by the day. On Wednesdays, in the early evening, go on a walk in the countryside through the nearby vineyards with the wine grower François Raffin. 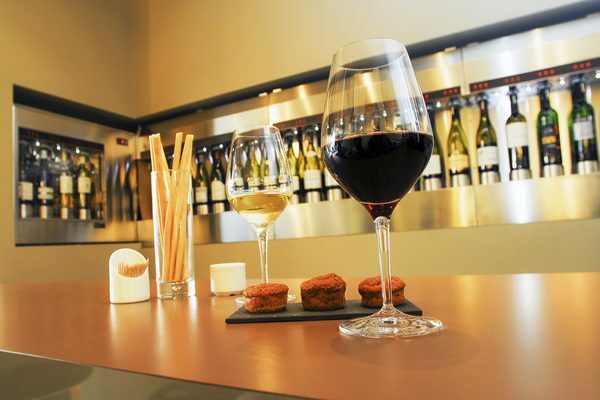 At the end of the walk, you can enjoy a wine tasting session at St Sulpice Chapel (5 min by car from the campsite). On Fridays, come and take part in our pottery taster session. 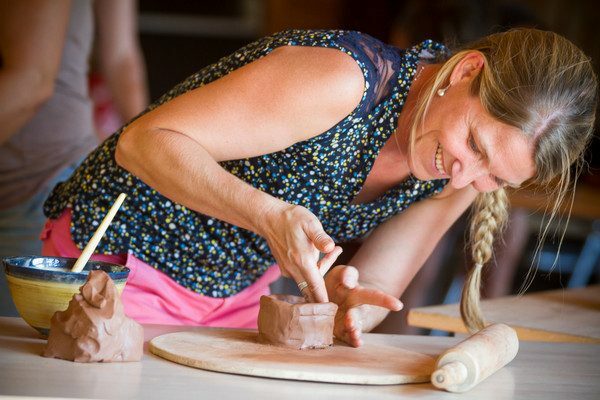 With some tips from our activity leader you can make some beautiful pottery creations. 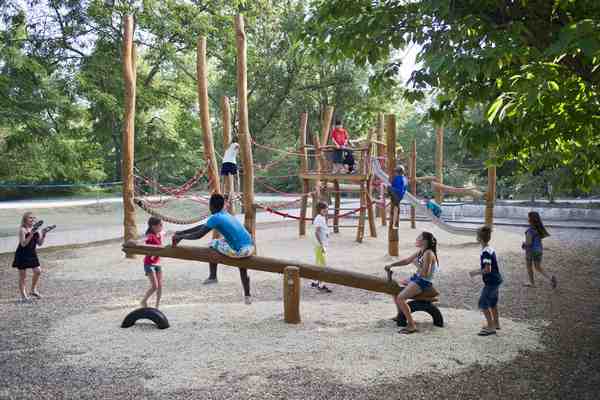 An activity that children and adults will all enjoy. 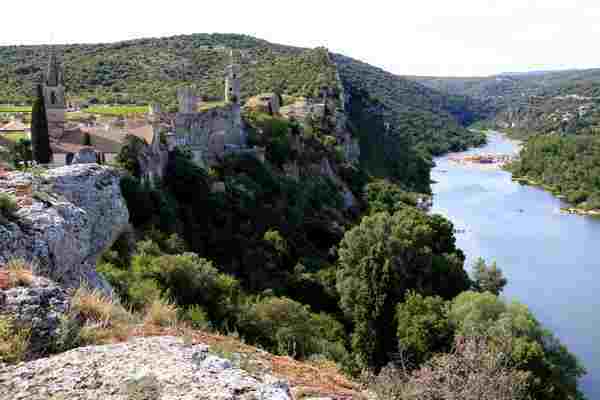 You don’t need to search hard to discover all the wonders of the Ardeche. En route! 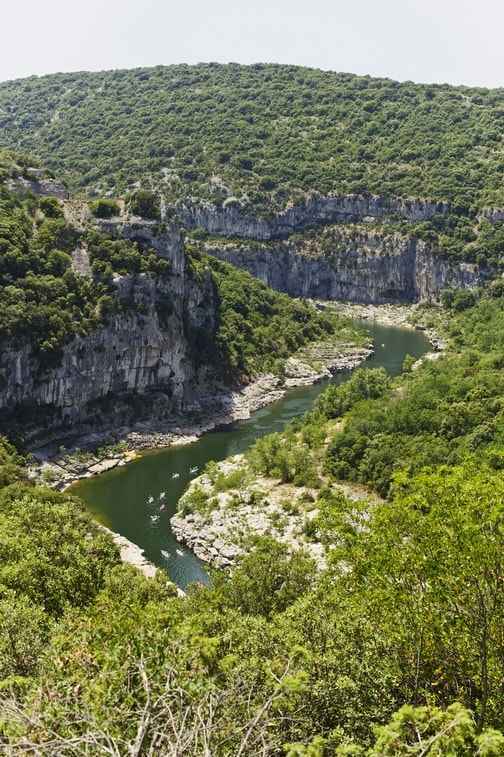 With its wild landscapes, its quaint hilltop villages, and its river that meanders between mountains and scrubland, the Ardèche will seduce anyone who loves hiking, white water sports, and swimming. 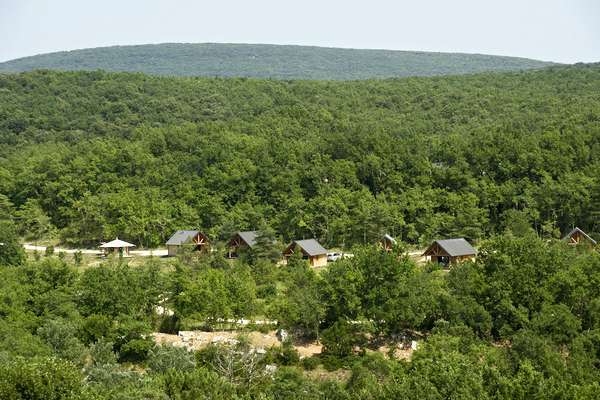 Huttopia Le Moulin – Ardèche campsite boasts an exceptional location at the gateway to the gorges. 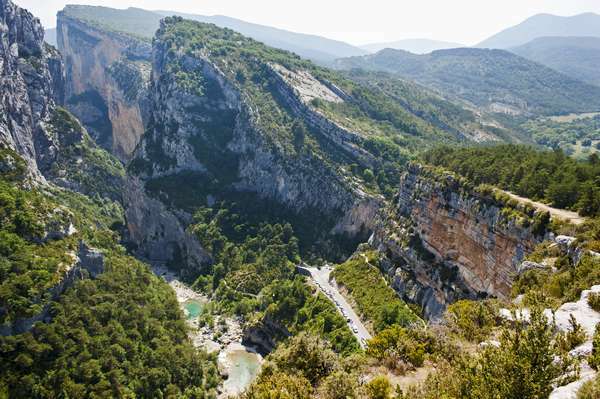 This natural 30 km long canyon carved out between Vallon Pont d’Arc and Saint-Martin is a classified Nature Reserve. 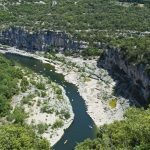 THE FAMOUS DESCENT OF THE ARDECHE RIVER! From 8 to 30 km, over one or two days, try out the existing courses at your own pace. Whether you are a beginner or a seasoned canoeist, enjoy a real canoeing or kayaking adventure! the most beautiful village in France! 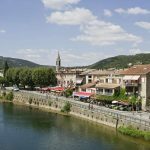 Accessible on foot from the campsite, Aiguèze is well worth the detour. 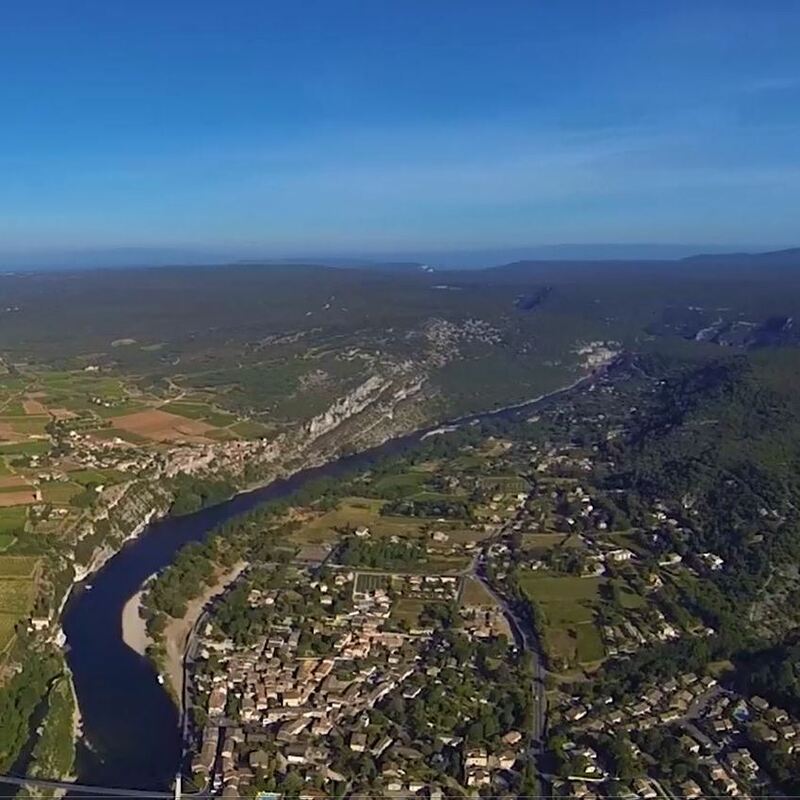 Perched on a cliff overlooking the Ardèche gorges, this quaint village promises fascinating encounters with local artisans as you stroll through its narrow streets. Explore nearby avens and caves. 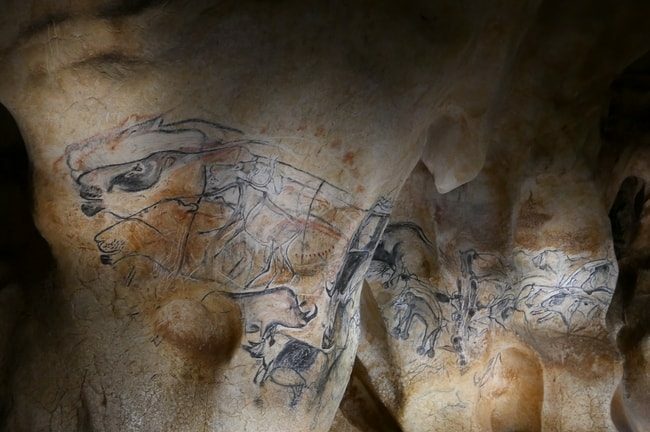 The most famous: the Pont d’Arc Cave, a replica of Chauvet cave, which is a UNESCO World Heritage site, and the Aven d’Orgnac, located less than 15 km from the campsite. Very enjoyable - however, wifi is only available in the reception/bar/pool area. Enjoyable and relaxed stay with very helpful staff. Very busy site. Our pitch was so shady it was dark with little sun. River beach is lovely.